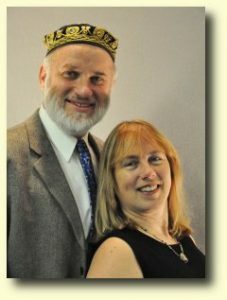 Glenn David Blank is the Messianic Rabbi of Beit Simcha in Allentown in the vicinity of Lehigh Valley, Pennsylvania. See www.beitsimcha.org for links to his testimony and other videos on YouTube as well as sermons in readable or listenable form. As of September 2011, Dr. Blank is a Professor Emeritus of Computer Science at Lehigh University.